Golf Tees and a Hammer: This one was one of Little Guy's FAVORITE activities He still asks all the time to do the "golf tee game". In fact, he even picked golf tees for his Daddy's Christmas gift at his preschool Secret Santa shop. Not so he can go golfing..."So you can hit them into egg cartons, Dad"! 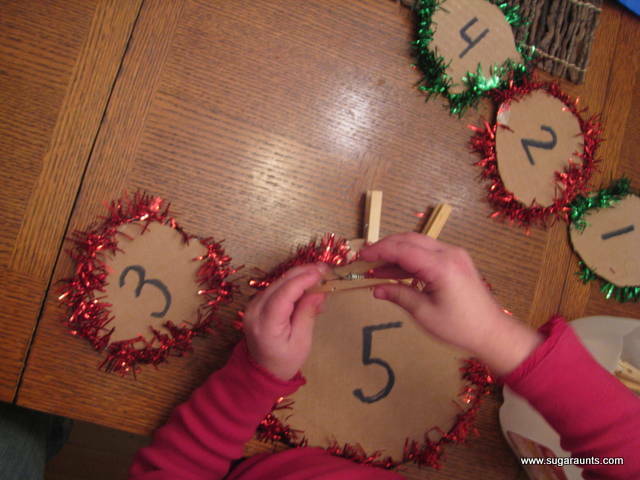 Christmas Math: This was part of our 25 Days of Christmas Play and such an easy activity to set up. Big Sister loved using the pinch pins to do some beginning math. Using the pinch clothes pins strengthens the intrinsic muscles of the hands and develops their tripod grasp. This is a good one for those kids that complain of their hands being tired when they are coloring. Use close pins on any cardboard/index cards/paper and it can go along with any theme or season! Snowman Play Dough: This one was really fun. Play Dough is so great for developing fine motor skills. 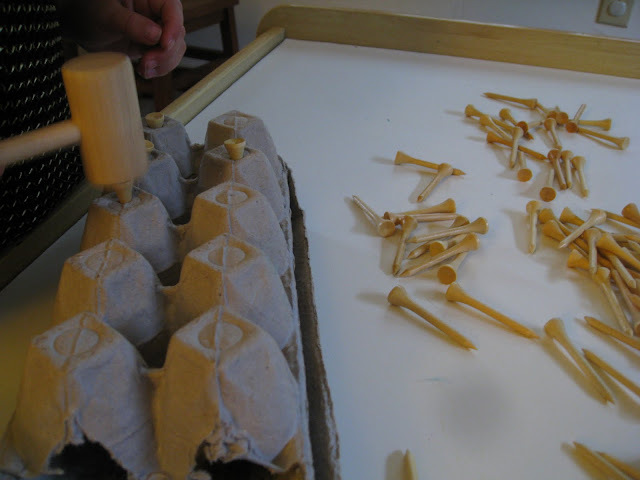 Rolling, pinching, molding, poking...it works those small muscles! You can use play dough in so many ways and with unlimited colors, scents, and going along with different themes. 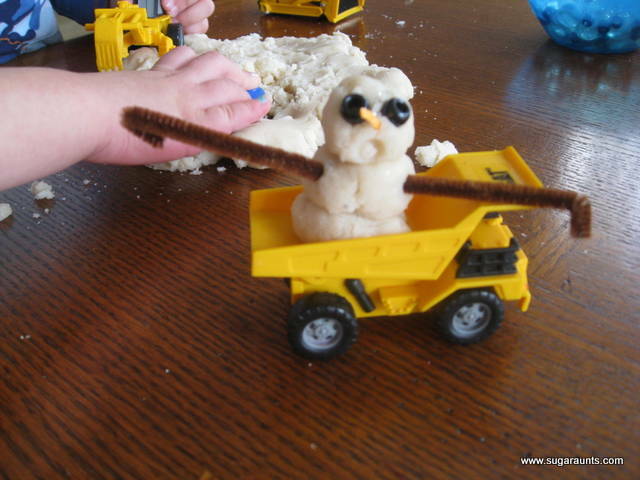 Little Guy loved using his construction vehicles to play with this dough and we all had a blast making snowmen with this glittery, scented recipe. Process Vs. 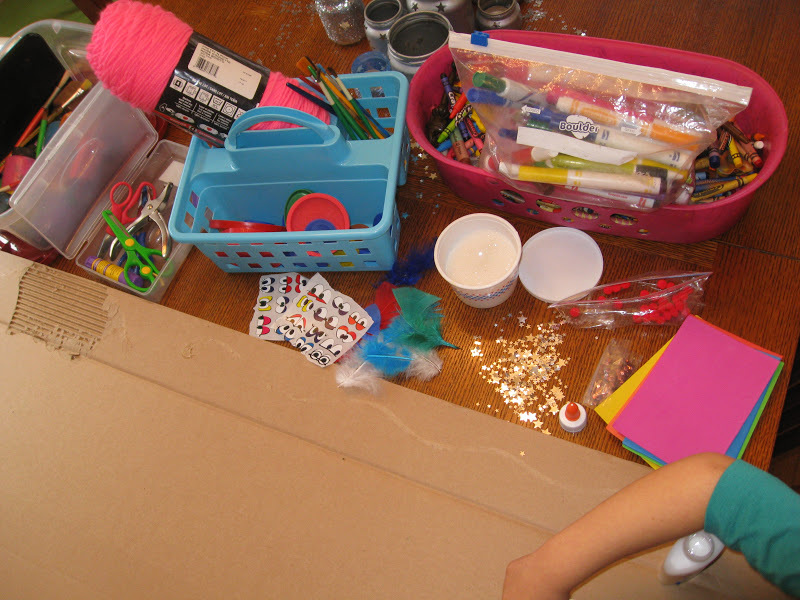 Product Art: This project is so great for developing mine motor skills in kids because the whole activity is based on the process of creating, using materials, managing tools (scissors, squeezing glue, peeling stickers...), and developing fine motor dexterity to grasp small beads/thread/bits of glitter...There are no expectations on the child, only exploration and creativity! 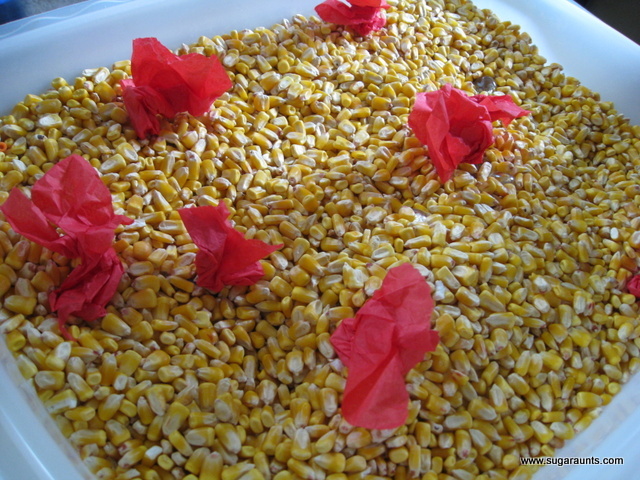 This was just 5 of our play activities that focused on fine motor development. We are so excited to come up with lots more in the coming year!